P-Pops (formerly Glee!) is an exciting new performance choir for boys and girls aged 10 to 16. Classes take place in Laois Music Centre , Church Avenue, Portlaoise under the direction of Nuala Kelly and Lorna McLaughlin. 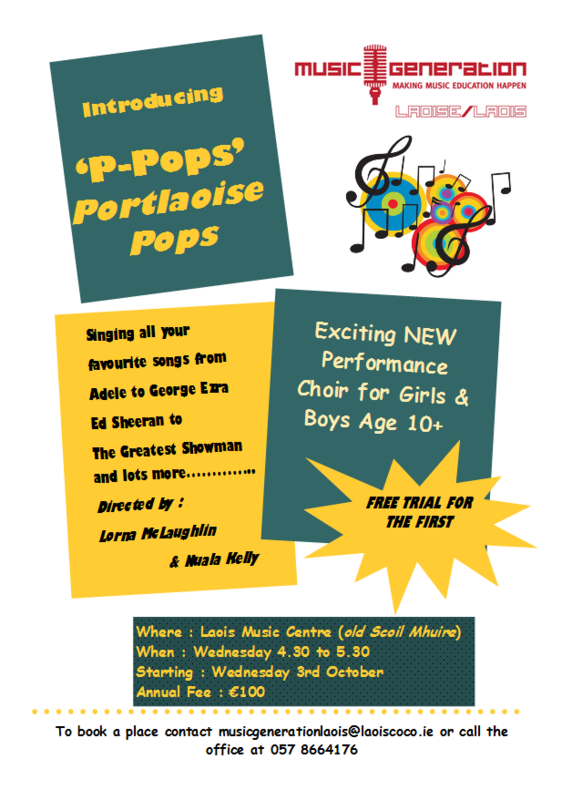 Call 057 8664176 or email musicgenerationlaois@laoiscoco.ie to sign up or find out more.